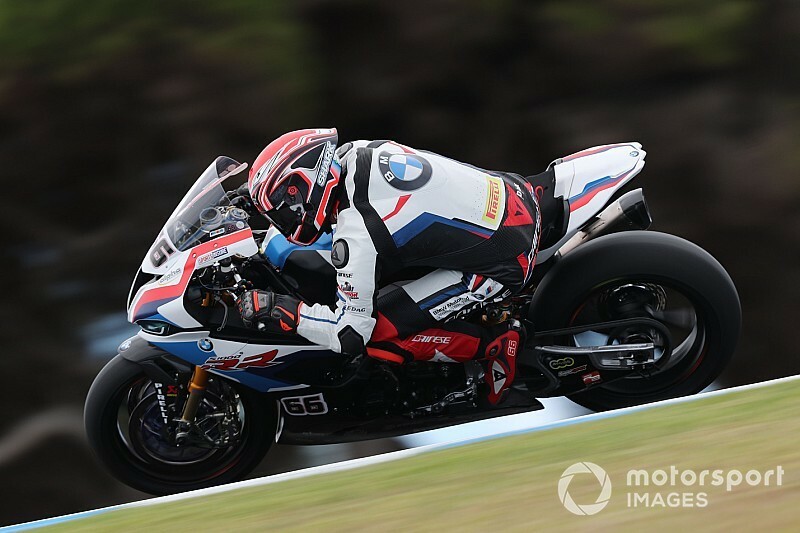 A lack of straightline speed prevented BMW from displaying its true potential in last weekend's Phillip Island World Superbike curtain-raiser, believes Tom Sykes. On his first weekend as a BMW rider, Sykes came away with a best finish of seventh in the opening race in Australia, before finish 11th in the short-distance Superpole race and 13th in the third race of the weekend. 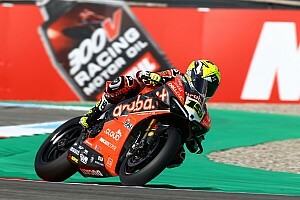 It came after the former Kawasaki rider qualified fourth and set the second-fastest time behind Ducati's Alvaro Bautista in pre-season testing earlier in the week. Despite his strong single lap pace, a lack of speed on the straights meant Sykes struggled to hold position during the races, negating the strengths of the S1000RR bike's "outstanding" chassis. 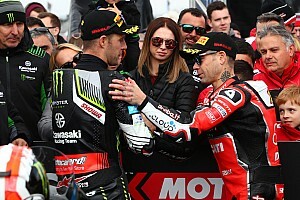 Sykes told WorldSBK.com: "Obviously there are a couple of people speaking about the clear negative on-track, but regardless of that, there are plenty of positives. "All winter testing we've been under the radar but very fast on race tyres. Also here we were very consistent on race tyres, second overall in the test and continuing that form forward. "When it came to the races we were just struggling with straightline performance. We obviously have a clear disadvantage, but I really feel during the corners the S1000RR is certainly working well. 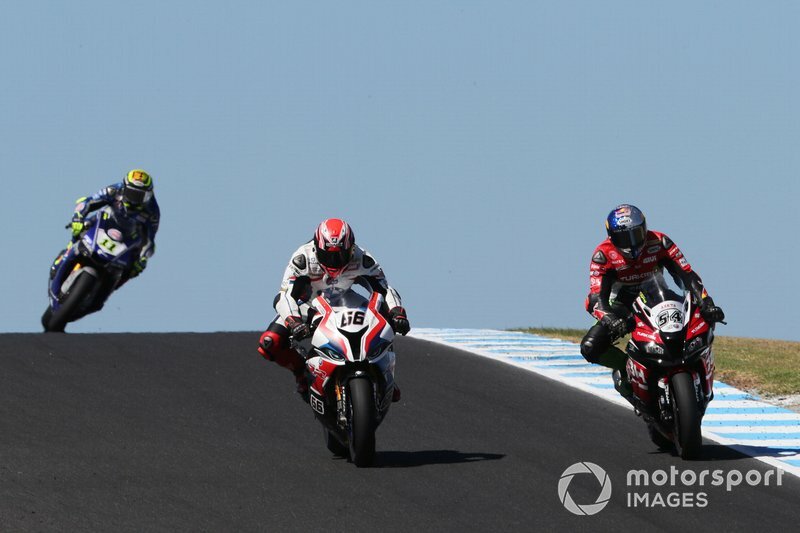 "The tyre life has been really good here at Phillip Island. Lots of positives to take away but the only disappointment really is the final result didn't fit the overall picture." He added: "Hopefully in Aragon the S1000RR will have a bit of an upgrade, we'll see how much that is, but still all the time we've obviously got a base and our focus now is to continue moving forward. 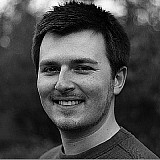 "I'm very happy with the chassis. I've come across quite a few riders on track during these three races and the chassis is working quite outstanding. "I'm happy for this and obviously horsepower will come naturally later in the game." BMW Motorrad Motorsport Director Marc Bongers said he was pleased with the potential demonstrated by the S1000RR despite its tendency to get "stuck" behind slower bikes in the races. “We have to be satisfied with the first race weekend with our brand new BMW S1000RR," Bongers commented. 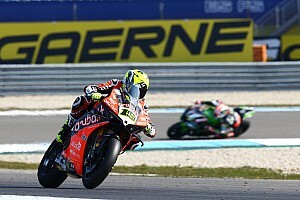 "We could, however, also see in the ‘Superpole Race’ and in race two that we still can’t recall our true pace. 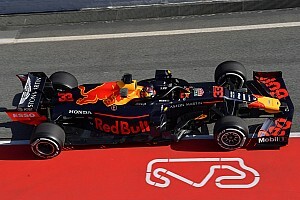 "If we were alone on the track, we would set top-six or top-eight times. But if we are in the race in the crowd, we can’t reproduce these because we are stuck. "The positive thing is that our theoretical pace is already very good. Now we will do everything we can to improve in our deficits on the straight line.